In today’s digital age, hotels are seeing a lot of competition both online and offline. The rise of accommodation establishments has sprouted from urban cities to rural towns, from 5-star to 1-star-type of hotel accommodations and even based on accommodation type – from boutique hotels to bed and breakfasts. The competition is even tighter online. With the rise of the big Online Travel Agents to the Group Buying Sites and even to the ever-growing presence of Airbnb – hotels are stepping up for the challenge to stay as visible as ever to the growing number of consumers and travelers all over the world. But what exactly differentiates a hotel experience from that of an Airbnb experience? Many millennials would argue that the difference is almost slim – with Airbnb winning the argument for the best value for money. But why do many people still prefer to stay in hotels? There’s three simple reasons why Airbnb may never be able to compete with hotels. The first being a hotel’s location. The best hotels are almost always located in the best spots in town. You’ll usually find the best hotels fronting the best beaches, or right at the heart of the city’s central business district or even walking distance to the town’s most popular historical sites. Travelers booking with Airbnb can’t expect the best accommodations in terms of location as usually residential areas are located a tad bit farther from the most happening areas. Airbnb guests can almost expect a 5-10 minute walk to the nearest train station or perhaps 2-3 blocks walk from the nearest historical site. The second reason why guests prefer to book in hotels instead of thru Airbnb is the availability of amenities. An Airbnb apartment with an available swimming pool, fitness center and spa is one of the rarest finds! Hotels pride themselves with the best top-of-the-line amenities available to their guests starting from the buffet breakfast to the lunch service and even the in-room spa. To top it off, hotels offer 24/7 service to assure that if anything in your room needs repairing, the staff will on it in a few minutes. This brings us to the last reason why hotels still remain to be the main lodging accommodations of most travelers – the service. Hotels make sure that guests have the easiest time checking in and accessing all of their amenities and services. This is quite the opposite for Airbnb accommodations where everything is just about synonymous to self-service. When checked in to an Airbnb, it’s practically just you and the room and the available manuals for each in-room amenity. All in all, there are still quite a number of reasons why many still prefer staying in hotels over Airbnbs. 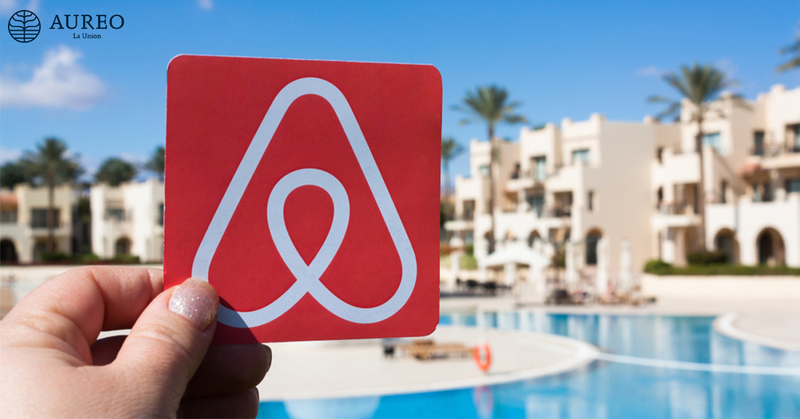 The price for Airbnb accommodations may usually come out to be cheaper, but what travelers need to always remember is if they’re going on vacation – do they want a hassle-free relaxing trip? Or would they prefer a slightly cheaper do-everything-yourself outing? For more travel tips and articles, check out the other blogs of one of the best beach resorts and hotels in San Fernando, La Union Aureo Hotels and Resorts!